A play adapted by Bhaktimarga Swami from the ancient epic story of Droova, a young boy who runs to the forest to meet God. Full of anger after being insulted by his stepmother, Droova’s prayer is to petition God for a kingdom greater than that of Brahma. Upon meeting God in person, however, Droova changes his mind and only prays for eternal service at the feet of the Lord. The Official Start Of The 50th Year! 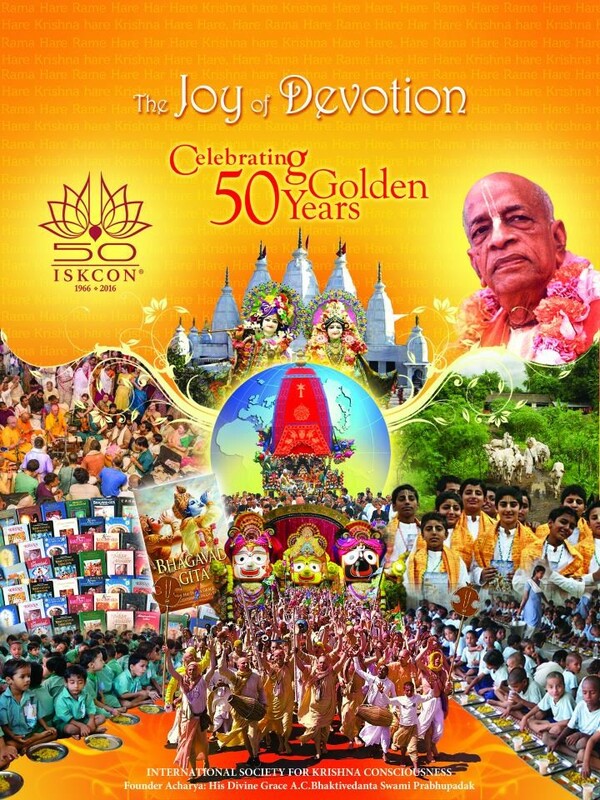 The 50th anniversary year of ISKCON starts from 1st January 2016, with many historical events scheduled all over the world. The Global Office for the 50th Anniversary has requested temples all over the world to participate enthusiastically by holding local and national events that can accelerate the preaching mission of Srila Prabhupada. The Global Office has asked temples around the world to ‘50ise’ all their general festivals, and to arrange at least one major standalone event in 2016 to commemorate the 50th anniversary. 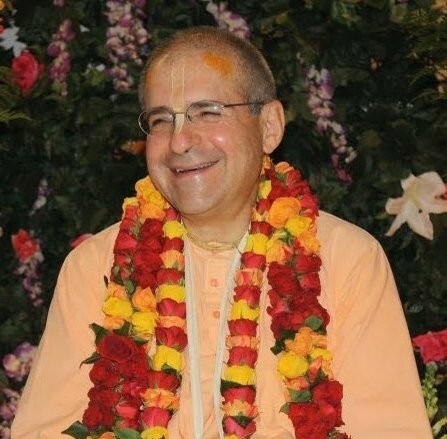 After the success of the events to mark Prabhupada’s Jaladuta yatra in Kolkata, Colombo, Cochin and Boston, many exciting events have been planned around the world. The Global Office will be releasing a series of posters, banners and other creatives in January. This will be followed by the release of the 50th anniversary magazine and a special film showcasing the achievements of ISKCON in the last 50 years. 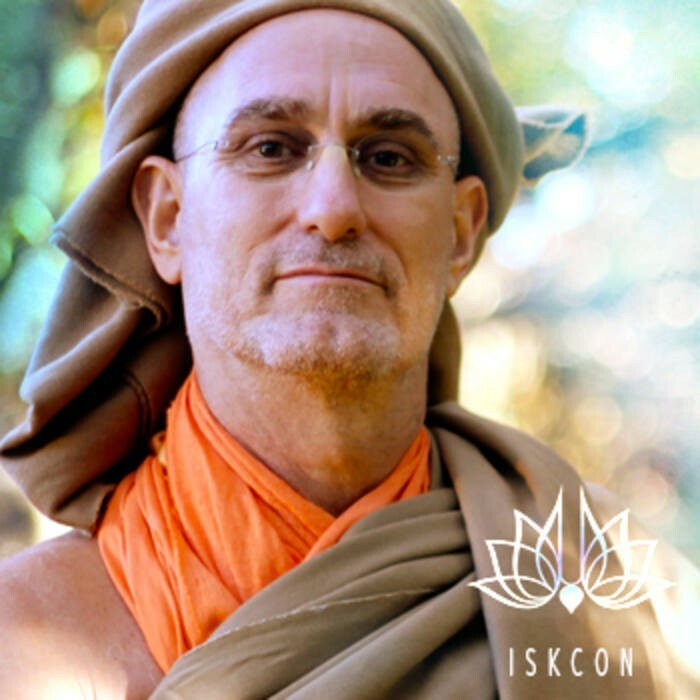 The Global Office is also creating a series of exhibition panels that can be used effectively during festival days to educate people about ISKCON. ISKCON centres can are requested to write to Romapada Das, International Coordinator, 50th anniversary at romapada@iskcon50.org and provide details of events they have planned. So this means that you have to understand what are the qualifications for training a girl, the qualifications for training a boy, then the families themselves what qualifications they have, a situation under that’s done and the mood that is behind all these that make them happen. And if that’s there, you can apply something for time and circumstance. Otherwise there’s a difficulty in application because the external form may be adjusted to some degree. Just like the idea is that as soon as the girl comes to maturity, in other words, she basically becomes a woman at 12, in her how she thinks, in her mentality while the boys don’t actually become men until late teens or early twenties. The recommendation is ideal is like mid twenties and then they’re fully mature. But the girls are at a much earlier age than mature in this way. So Prabhupada said according to time and place and circumstances what is allowed in your particular countries and that this must be adjusted. Some countries allow at 16 to get married, some allow at 17, some allow at 18. So one must make adjustments. That must be always considered when this is being done. Therefore one tries to get the principle that’s behind it. Though one may not be able to get the detail. The principle behind it must be achieved. So we must be study. It can’t just be that we have a particular agenda we want. Like I remember there was something that there was one devotee who was interested in having a second wife. He was specifically interested in marrying a young girl. So from that he does his whole big research and everything like this and it shows , how Prabhupada gives so many quotes on how having more than one wife is proper and this and should be young girl. Because he has his particular agenda. Now in this there are certain major points, like those who lived in the temple or who are maintained by the temples. They couldn’t have. So therefore Prabhupada said if he wants it he has to move out. So we have to see what is the whole mood and everything behind it. It’s not just we’re attracted but it’s that the ability to expand one’s facility for shelter and all this and that. We see before is that those who had more than one wife, each one had their own private facility. It wasn’t that they were all packed up in the same place. So many considerations come out of these that when we approach the Vedic culture is perfect. This is a perfect system. As Maharaja has pointed out this morning in a class that just because you’re going to medical school doesn’t mean that now you can just go into the operating field and do what you want. So we have to have that full knowledge. “A full” means, Prabhupada gives it in his books; it’s not something esoteric or so difficult to get. Devotees have read certain areas are very simple and straightforward and if we take those and then apply them with the mood that is there. It’s very important that we see in a past time that a particular activity is going on, the mentalities that are there and then the philosophical or cultural points that Prabhupada brings up in relationships to that. We study all that then we get something. We can’t just take something like Maharaja said yesterday, you just go to the folio, you make a couple of hits then they seem to what you like and then now you start establishing whatever is your philosophy. One must be very careful, that it’s consistent. It means that there’s in a situation that is there something is going on and Prabhupada gives if there is an important mentality, he tells it. If there’s something it’s there. If not there, it’s in another past time. Maybe the same thing will be repeated. If it’s not so such a main point and sometimes it will be. So we have to enter these things with a deeper more mature knowledge just like, we’re taking this example –“The daughter should be married”. So the whole point in there is protection. The father is giving care to the daughter and whatever she’s needed he’s taken care of. He’s always seen that the environment is very nice. She is well taken care of, whatever her needs are. Now she becomes a woman, now she naturally wants to move into the family life. So now it’s his business is to arrange that for her – find a suitable boy, signed all these different things. So the whole inspiration for this is shelter. There’s not something else. It’s not that girls are trouble and you want to get rid of her. No. Father’s never thinking “I want to get rid of the daughter”. In fact the rules are such that it forces practically or otherwise he would just let her stay inside the house. Like we see with Prabhupada’s daughter. When his daughter was 14, he wasn’t so worried. Because she’s there, she’s taken care, relationship is nice but then his wife was feeling that “we’re going to be so socially unacceptable by the other members of the community that our daughter’s not married and everyone will think there’s something wrong with her. So that means she’s uncultured, we’re not training.” So she said: “You better marry her now or I’ll jump off the bridge”. So Prabhupada went out and made the arrangements. So the point is the shelter, that daughter is never feeling bad in this situation. So it’s a matter of creating or expanding that nice situation. So if that is the mood then you can see well. I can’t arrange something that’s not going to happen. I can’t arrange something that the girl will be exploited. He’s very careful on how he deals in this situation. So many things have to be considered because that shelter is the principal driving element in this the family making the arrangement. So then since we’ve added to the global warming for the last three days maybe it would be good if there’s any questions or something because the subject is so vast. In five days it’s hard to say in which direction to go. So if anyone has any specific questions on either what we’ve discussed or some other areas within either the culture – meaning the sadhana, the varnashram, or their connection or in any of these kinds of things then it might be good. See, sensitivity, there’s an interesting, another point that we can decide point but it’s can be applied for this, Is that the experience, what experiences stick in our mind. This is a very interesting thing. See things that stick in your mind that you don’t forget are things that you experienced in the present and those have the most influence on your life. Because generally the living entity being in passion and ignorance. They’re always dreaming of some ideal situations in the future or thinking about something in the past -either lamenting for it having been lost or that one experienced it. So that means the present moment is can be obtained by two ways basically. One is by situating oneself in goodness. Someone is just working now and is conscious of what’s going on now. So then one gets that experience and that’s the best because that’s the situation in the spiritual world. Because you are always just thinking of Krishna right now then they’re always in the present. There’s no past or future. But otherwise it’s by something to do generally with senses or what we want, some desire. So then we become conscious of the present or something that shocks us or like that. If someone watch a movie and when they’re watching this movie, if their mind is going here and there, at the end of the movie they’ll say it wasn’t a good movie. But if there’s something in the movie that riveted their attention, Even if it’s just once for one moment, one exciting scene or just one something, then you’ll say it’s a good because that experience of the present is so much more pleasure than anything from the future or the past. So the living entity is always looking for that. So they do crazy things, like they do bungee diving or something other crazy is because that moment that fear of death and all those things just rule your attention for that moment and then after a while you get used to it and then that doesn’t give you a buzz. Then you look for something else that will bring that moment to you. So what we see, what happens is one of the elements that means in the modern culture. In the Vedic culture you would use your sensitivities in all the relationships, all the rasas. So this would create more of the deeper feeling. It’s oneself own experience plus the interactions will be much more felt by all the parties involve. Because sensitivities were used in all areas. But nowadays we’re basically trained only to use sensitivity in the conjugal relationships. So when one is in that kind of mood, then one is always very sensitive. You see the boy can be on one side of the temple room that can be the whole crowd. And the girl could be on the other side of the room but they’re totally aware of each other’s existence – any move, any look, all these things. And that is actually what’s creating the interest. Because you’re at the present. Because when you arranged the right for them to be together and they’re married, one loses that sensitivity with time and then it’s just ordinary. So that means instead of the senses and the hormones creating that presence at the moment, you can only create that mood by following the rules and regulations of duty. Because then you’re in goodness and so you can live at the moment and actually have proper relationships. Start the whole process again with somebody else. So the same sensitivity can be used also, means not the same motive, but the same sensitivity to notice your surroundings. It can be used with friends, like you are with friends. So you’re talking with friends, then there wasn’t acknowledgment of going different ways. So then you can’t just walk off. There has to be disengagement on the mental level. Otherwise in the other person they wonder, hey what happened to them. So these sensitivities and those weaken the relationship, so it may stick you there, you may want to go do this do that but you get stuck a little bit. But it enhances the relationship. So we always have to see what the most important thing is. Is the relationships or our own thing? If it’s some service then of course you say “excuse me I have to go”. Because then you may have to break in but if not, you can’t. But that sensitivity they were with friends or those who are senior or those who are junior. The mother gets something out of the relationship because she’s so sensitive with a child. Child’s even somewhere else playing but she’s seeing or worried. That’s sensitivity there. And that sensitivity also creates closeness. So it doesn’t need distances a problem. It’s very unique kind of situation. So that can be used in all these and if you use that sensitivity in all the environments so that when we’re in the temple are sensitive to other people and not bumping into them and not getting into their way. Or there someone senior coming, “How I do?” “How I deal?” All these different things and that’s where the relationships can actually can function and flourish when we’re sensitive to what‘s going on. Otherwise if we’re not sensitive it means we’re only doing what we’re into. What our own mind is thinking, feeling or willing. Rather than the whole idea relationship means being sensitive with what the other person is thinking, feeling or willing. Basically we’re talking about in mundane relationships. It’s 50 : 50. I sacrificed 50%, the other person sacrifices 50%. And that’s the perfection of the material arrangement. So if we do that much then prescribed duties are met and it works very nicely. And we see even in the spiritual realm, that this is also there. Means in Vaikuntha you find that. 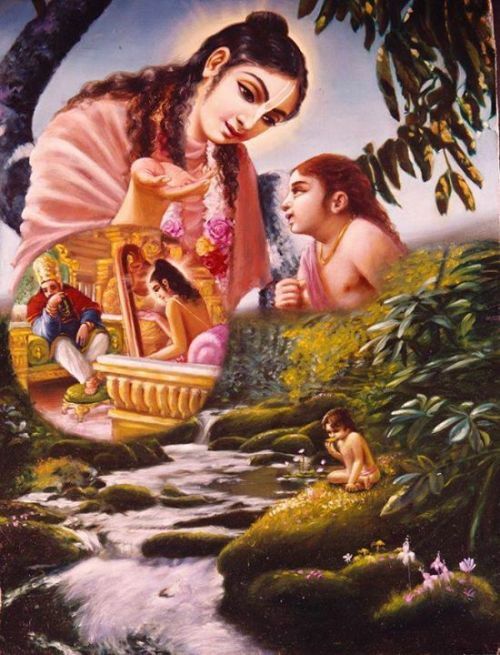 The devotee makes that sacrifice but he has some interests – to be on Krishna’s planet or being associated. And then Vishnu makes that he comes forward and they meet at that point. So that is the minimum for either material perfection or the regular spiritual perfection. But we have to be willing to do that 50% because we see in Vrindavan they take it more. The devotee makes 100% surrender or sacrifice for Krishna and Krishna makes 100% sacrifice for the devotee. So there it’s a very unique situation, Vrindavan situation. You don’t find it in any other realm in the cosmic manifestation. The devotee completely surrenders and the Lord completely surrenders for the devotee. So the relationship is the most intense because of that sacrifice, a complete sacrifice. So on this plain sacrifice is the thing. We have to make that. Sacrifice means you have to be sensitive. You have to be able to see. Like I’ve been sitting just to give it an example of certain like sensitivity where sensitivity doesn’t mean mental, it just means you are aware of the other person and you care for what they’re experiencing. Like this happens many times. I’ve been talking with Bengali gentlemen, very nice aristocratic bengali gentlemen. And you’re talking and they’ll go through all the normal things whether normal cares, where you’re from, what you’re doing and all these. Just different things. What is your experience. How you’re liking this chanting, this culture here and Indian and all these different things. And I am just asking I waste your time but they want to know you and they’re willing you ask them the same questions, they discuss the same things back and you get to know each other and all these. Now during that time you kind of like while you’re talking like look away in a concerned way or look at your watch , immediately they’ll think, “Oh, I’m disturbing this person. He has to go and I’m keeping him from what he’s supposed to do”. So immediately you go “excuse me, you have to and this and that?”, “No, no, no. It’s just that. They have to look at the watch or you want to know what time it was because you have to do something later and after a few more minutes you look again and again. They think you’re just being polite and listening to them but actually you want to go. They’re so sensitive to these things. Or in serving prasad. You see that you sit down and you’re eating and they see everything what’s on your plate. See what’s missing, what you’re eating, what is your mood while you’re eating it. So they know you want more or less, they’re always coming and they offer and they can tell the difference between. You don’t want, you’re just being polite. Actually you want but it’s just polite, not like look like you want everything, so you just, “no, no, no, it’s okay”. Even though they give you enough for a mouth but when they come up next time, you just “no, no, no, it’s okay”. They’ll know that’s just being polite they give. Then they come later and then they know that you had enough, so you don’t really want anymore but at the same time as you like the preparation so you would like to take more. So body’s satisfied, mind is not. So again they’ll know and they’ll know how to give it. And then they know when body, mind, spirit everything is satisfied and this is like if you take it anymore you’ll explode. Because that’s sensitivity, because that’s sensitivity they’ll able to deal. So in that you can do anything that is sensitivity has to be applied everywhere. You have to take it out of just being sensitive to between boys and girls, purify that and apply in all situations. Then we’ll find that mood to be that sensitive in what buzz you get is found in what everything you do. Maharaja’s been talking so much on this point – about respecting others. One has to be able to respect either that the senior or they’re another living entity or the junior. In other words the mood is service. Someone senior to you, you serve. Someone’s junior to you, it’s your service is to give them shelter and take care of them. That’s your service. In other words, as we brought out yesterday, the problem wasn’t that Vena was saying: “ The king is the Naradaivata and everyone should respects him, He’s a representative of the Supreme Lord all our respect goes to him.” – That’s the philosophy. The problem was that he’s saying it and thinking in this way, rather than the Brahmans saying it. He’s supposed to think, I am a servant of the Brahmans. I only under their protection, without guidance I am unable to do anything. I’m a fool. I’m absorbed in all these passions and attachments and therefore I cannot direct the society properly by the nice guidance of my advisors, my Brahminical advisors. I’m actually able to run the kingdom properly. And then the Brahmans just think: “Oh, no, it’s your duty. You’re the one who’s doing. We know what has to be done but cannot do. We don’t have the qualifications, you are doing therefore, you represent.” So it goes that way. The problem comes when the person in the position of Tattva takes the mood of that, in the culture. And then it creates a problem. Because knowing these things even if he does know these things, it’s not like that he won’t know it but the mood is not “Yes, I’m the representative of the God. If I’m supposed to represent God, God is giving shelter to everyone. It’s my business to shelter every living entity under me. And respect all those above me”. Krishna gave example of how we would respect his parents, respect Ugrasena, respect the Brahmans. In other words knowing the philosophy is not enough. You have to know what is your mood within that. Where do you fit? So everyone should ideally know as much as possible the total picture but specifically you have to know where you fit. The scriptures talk on this. Where do you fit? What is your particular duty and your mood and then how you exchange with others? Then it becomes very clear. So one has to catch that mood that “everyone is a devotee, I have to respect. I have to deal properly. So whatever the relationship is, I have to deal properly. If they’re equals, if they’re juniors, if they’re seniors and if I don’t know then I have to be very careful.” That is Visvanatha makes that point. The madhyama understands who’s who. The kanishtha doesn’t understand just by seeing and looking. They generally have to be told. But the madhyama can see and test by their observation they can start to figure things out. But the kanishtha doesn’t. So the position of kanishtha is nice to everybody. So that was one thing it struck me – it’s difference between the West and India. In India a big wealthy powerful person will come to the temple and because they don’t know who’s who even the newest devotee that is there they’re very respectful as if there is a person that’s running the institution. And when they there a little while, they’ll start to know who is who, then they start adjusting. But they come in first by just being nice to everybody. You generally see the Western culture unless they’re more of kind of aristocratic and when they deal you just a nobody and then someone points out that “Hey, you’ve seen all this?” and say “Oh excuse me, I did not know. “ It’s a little different. So the idea is one should be very careful. If you don’t know somebody in festival you’d be very careful. You may find out at the temple president or somebody. You’ll find out later who you are staying in the room with. Be careful. That mood, then other things will come. So this point between service attitude and control – means, service means whatever is our position we’re supposed to interact with the others. So if someone’s junior then business is somehow another helping them. And then if we are in the position of authority and there are dependent then that means we have to control the environment. So that they will have benefit. And that may mean that they have to be disciplined also within the environment, so they are in best situation and most satisfied. So the control is a tool of giving shelter or giving benefit. It’s not the other way around. Kshatria isn’t the one who controls. Kshatria is the one who wants to give shelter and everything and by that he controls, by speaking very nicely, giving position, separating you from everybody else or giving justicement. So that you use these mediums. So those are all part of control but that is because they have to give shelter. By our study we should try to see the similarities and see what are the underlined principles. We can understand them nicely. If not then we inquire, that was the thing is Arjuna because what it is when you have different situations, then the application seems to be contradictory. So it takes some experience to understand the same principle but in different situations so we apply that in different ways. Therefore in Bhagavad-Gita Arjuna is always saying that what Krishna is explaining is contradictory. He brings up this point. Either we can see ourselves or in discussion with others, that’s the point of sadhu sanga. We discussed with others, our friends and other things like that. We discuss with or we hear from others, we ask these questions. So the whole idea is that the more we study, the more trained, the more we understand of these things and you start to see the similarities. Because you see what are the points made, what are the different aspects that are there. And you see similarities. Many times you see is that specific words that have specific meanings are always used. And you see these words used everywhere, like you see always “become free from fear, become fixed, become free from misgivings, free from doubts”. These are all meanings basically of the same position. And whenever those come up you know what they are talking about, you start to learn the language, learn the method of thought, learn, how to categorize things. Means the shastras and acaryas always categorize in a way that we can understand them. Lord Caitanya gave the principle, actually gave the main thing we categorize everything from – it is the understanding of relationship, process and goal. All the Vedic literatures are divided into this. Then he refines this further by giving us the “Dasa-mula“ -the 10 points of how this is broken up. The first principle is the scriptures of which everything is based. Lord Chaitanya said there scriptures are all delineating sambandha, abhideya, prajogina -our relationships, the activities and the goal of these activities. So he gave scriptures and these three. So then the Dasa-mula is the scriptures and then you have 9 points. of that. The first seven are divided into -this is relationship. The eighth is – the process and the ninth – is the goal. So all the acaryas use this framework, whenever they hang on this and then they refine this or take one aspect of it. Like Rupa Goswami primarily speaks on abhideya. Sanatana Goswami speaks primarily on sambandha. Though he gives the abhideya and Rupa Goswami gives also the sambandha. So after a while you start to see what are these relationships that are going on here. And then it makes it easier to catch oneself. But otherwise that’s the purpose of discussing with others. We have to be very careful in our study so we don’t jump to conclusions. So difficulty comes in the west is we don’t necessarily have. We can’t have it seen. That was the reason that Prabhupada gave his own example and explanation and in the books and explain but also we see that he recommended that the devotee spend some time in India to see these things. Maharaja pointed that out yesterday. I remember Prabhupada mentioned (I think it was in 1976) that ideally everyone should spend a year, just to gain the culture and understandings. So when they come to the west they know how to apply it. Because many times you don’t see like whatever Prabhupada talks about in the books in all the different activities and examples or the things that are going on that have happened thousands of years ago between the prajapatis and the kings and the Brahmans. I’ve seen those things in India. I can’t think of a situation I haven’t seen. Many times devotees say: “Oh, that’s five thousand years ago.” But I’ve seen it in the last, so many years. They’re there. The example is there. It’s still going on in India. These things that are discussed – are happened. It may be rarer and rarer. It used to be that everywhere you’d see it. It will be rare person that people’s living under Hower bridge that wouldn’t follow the finer aspects though they have followed the main principles. And everybody else in the middle class, upper class all followed the details. Now it’s getting more and more rare that because of the benefits of now they have. Before they only used to have Indian television. So then they get only degrade themselves as much as within their own scope of mundane thought which is still the bound within the kind of Vedic concepts but now they’ve advance the point that they have western televisions, specifically American television. So now they’re able to get better ideas for degradation, much quicker. There are a few main things in the beginning that we were discussing. It all came back to the point of aspect of their sensitivity. The process works nicely is that someone’s going somewhere and they’re going anywhere they have space. You go with them but then that also means whenever you’re going somewhere, there’s space you have to take people. So then the point is everybody is in that mood then that works nicely because sometimes you benefit, sometimes the other person benefits. The other aspect is that when you have the association and different things that you’re doing together so it’s always nice to be in association with devotees than not. So these aspects are there. The other thing is just that if it’s going to be an expense for them then one can always offer- should I pay something and this and that. And if they can take care of themselves anywhere they’re going, there’s no problem and all that then that’s natural why you should pay. I’m going anyway. The place is there. At the same time is that we’re sensitive. I mean if they have difficulty, then maybe they will take but it they won’t be overly happy about that. It’s just the matter of that I don’t have the money to take care. So these aspects must be there. Point is that if we have a scarcity mentality then we see that Lakshmi’s not there. When a wife is properly trained and deals very nicely, when she comes into that family then Lakshmi comes with her. Because of her mentality everyone prospers in the family. Because when her mood is very good – giving and caring and all that and everybody else then they prosper. Their emotions, they everywhere becomes nicely balanced and then the whole family prospers. So we have that mentality. Then generally we see everything works, everything happens. Because it’s understood. So there’re both sides. There’s someone who they’re going anyway whether you go or not then why there’s a charge. It’s a matter of “I’d like to go but I don’t have really enough money to go and you want to go but you don’t have enough but we put it together we can go” that’s another thing. That’s more of a friendship, kind of thing. So one has to see very much these things. One thing that was there before, I remembered just on the thing when you mentioned on the temple level and that was this we were traveling from in 1973 and we just had a Pancha-Tattva picture temple in Saint Louis. So there was the rule when you’re in the temple you do the full worship and when you’re not there you just lock the door and go off. There’s no obligation. Not as if when you have installed deities. So we were going, we were traveling and we came, we would go to another temple on the way, we’re going to San Francisco to Rathayatra and on the way , you go through Denver or something. Or you go to another temple. When you get to that temple the first thing you do is you go to give your obeisances to the deities. The second thing is you go see the temple president, temple commander saying we’re here. What can we do? What is our service? So you become part of that temple. So you’re not there to enjoy, you’re there to serve and do things in the temple. I remember we went out door to door for sankirtana. We went to the temple and we were not thinking: “Well, so we should get a cut or this and that”. No, we’re there in your temple. You’re taking care, whatever service you give us the benefits of that go to the temple and then after one or two days we travelled on. If the mood is “I come here. There’s a big festival and I come here just to enjoy the festival “then that means the small party has to do all the work and it becomes very difficult. So some service must be there. As Krishna says, first you surrender if not -sadhana and if not – do work and not – give money. So it’s basically the same principle as there —to able to do all this and then understand this very much the mood is there. And then you also have to see the position of the place in the temple and all those kinds of things. Problem is if there are so many things in here. Each situation will be different. So we’re just speaking on that principle that sensitivity is each party is sensitive to the other. Another thing is if you’re invited then generally you don’t offer to pay something. Because that, they would feel bad. They’ve invited you so they’ll take care of you. So generally what’s done is you take a gift. And you just bring something for them -for their deity’s or something like that. And that’s accepted. But they won’t take payment for the invitation. In other words the principle is – ask a general question and you get a general answer. Because it’s so general then unless you get into specific detail of what’s happening, who’s involved and it’s very hard to apply. You don’t look to be very happy with it. This is what we’re discussing on the first day that one has one’s occupational abilities, one has one’s mentality. And one has one’s training and the proper culture. So by culture these devotees don’t know much. They still act the same and do everything like in lectures. They don’t do know actually the proper culture. Though they may be sincere and all that and are wanting have the right mentality at least to some degrees developing, to serve the Lord in a way of trying to please the Lord. Therefore Prabhupada installed the deities. 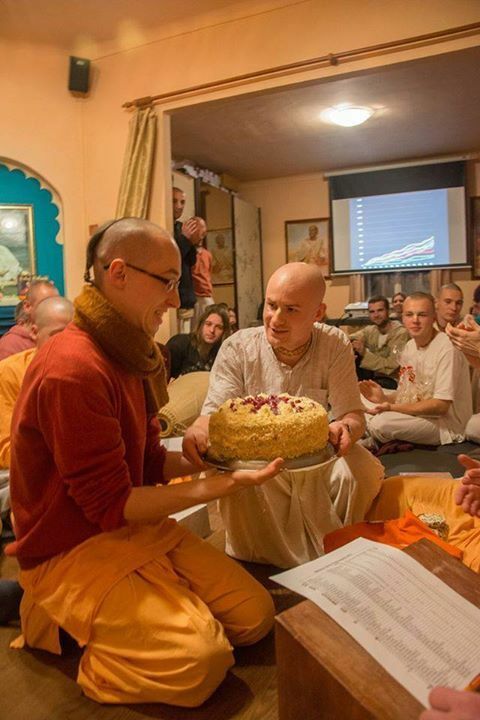 But as far as the culture goes – they don’t know how to cook, don’t know how to do any of these properly so then Prabhupada is asking if Krishna gave the intelligence so that can be done. They gain that intelligence. So these two things. Just like we’re saying someone is braminical in motivation and consciousness, the one may be performing any of the varnas, conditional activities. We discussed on the first day is that brahman specifically is the consciousness. Then there’s an activity that goes with that consciousness. So because a devotee is a brahman, because they realized Brahmans. A brahman who realized, become a devotee. Therefore any devotee who surrenders to Krishna is a brahman. So we have a brahman in the desire to obtain the Brahman, to understand Brahman, serve Brahman. So that’s Krishna. But in that we have our condition nature. We have our mind, we have our body and we’re engaged it according to the nature which may be brahminical occupation activities, maybe kshatrial, maybe vaishyal. That’s doesn’t matter. That’s why the culture is so unique. It’s just what activities or what service we do then it‘s according to our varna that we do our best. But our devotional life, our devotional interactions will all be as devotees. It doesn’t matter if someone’s a brahman or someone’s this. They may have any relationship. As senior, junior or equal unless some activities are very obvious like a position, like a temple president or someone’s doing a very specific service. Then some of the aspect of what service they’re doing by his position then there may be some considerations in etiquette. But otherwise the general won’t apply. So one has to see the culture may be very different. Sadhana means that we practice. Services that we perform according to the rules and regulations to please Krishna that is sadhana, whatever specifically that will be in a relationship to our devotional activity. But as we see that it all becomes part of it. As we see our service, in everything that’s also part of it, specifically it more means of chanting rounds, hearing Srimad Bhagavatam class, associating with devotees, worshiping the deities. The importance in guidance we see that Prabhupada always talk about it. I mean it’s constantly being mentioned. The culture of Krishna’ consciousness has a proper culture. Like in this chapter all the problems are being related back to lack of culture and training. So it becomes very obvious that Prabhupada wants us to become cultured. So then that means then we have a desire. It means if you want to learn something, three things have to be there. You have to have the interest on it, and then as you learn things you want to apply it. You want to do service. Seva means you apply it and you do service. So in trying to apply it then of course we run into difficulties because we’re new at it. So the whole thing is if we want to apply it we’ll have to have questions-how to apply, how to deal. So the inspiration will come from seeing others, hearing from others, reading from the books. These different things will be there. So much is there. We have to understand that the Bhagavatam has been written in the form has been written for our benefits. I don’t know if I explained on this about why Bhagavatam is written in story form? Is that explained here? In other ages one would get one’s more inspiration from the Vedanta Sutra or from the Upanishads and one was able to take that and apply it. Because that was specifically dealing with higher subject matter. It’s a culture that was studied separately. Like you have Vedas, you have four Vedas. Each Veda is divided into 4 parts. You have the Samhita which is the actual text – all the hymns, all the verses. The second part is called the Brahmanas. The Brahmanas – they deal with the rituals or the culture, it means all the different ceremonies, dealings all these things, based on the Vedic rituals, Vedic mantras. It means that you have a body of mantras they have to be used so this one’s used in this sacrifice. This one is just in this situation. This is the ritual how it’s done. Then explaining those you get all this different Dharma Shastras, like Manu Samhita, all these which get into the fine detail. So these are studied as their own branch of knowledge. Then you have the Aranyakas, which means”the forest”. So generally the vanaprasthas would deal with this. We see the first in the gurukula the brahmacharies would memorize all the verses, as grihasthas would practice all the ceremonies, Brahmans doing that those rituals. Then as vanaprasthas then their main emphasis would be on the Aranyakas. Because they will go to the forest, they will study. The Aranyakas – they give what is the purpose of the rituals. Means why that ritual is being done with that mantra and what are all the different. And then in the fourth stage there’s the Upanishads – they gave the straight philosophy. So now people could study them separately and put them all together. You could study the verses. You could study the purposes. You could study throughout the life. You could remember what was there before and all these different things. But in the Kali-Yuga we see a slight problem- the lack of memory, lack of intelligence, lack of determination – so many qualities you’re lacking. Therefore it’s very hard for someone to study all these and put them all together. You study the philosophy and you understand that. You understand how the material world works and you understand. Everything works like that. It’s like water in your cup and water in the ocean act in the same way. But the water in the ocean may take on some other aspects do it but they’re all connected to the basic principles. So in the Kali Yuga, the Puranas are called the fifth Veda. Because there they explain all that knowledge and put it all together in one thing, in one form. But still that wasn’t enough. Vyasadeva wasn’t satisfied because he hadn’t given the philosophy in there. Means it there but it hadn’t been clearly. Because he didn’t connect in. There he had connected all the material knowledge together, knowledge from the angle of passion, goodness and ignorance. But he hadn’t made very obvious the philosophy. So then the Bhagavatam and the philosophy becomes the prominent feature and then all the stories and back it up and show practically how people live that. It means you have a philosophy that will establish to get this philosophy. You have a set of rules of culture, culture in sadhana. So the two are connected. You can’t have one without the other. Prabhupada makes that point- philosophy without religion. In other words, the code of conduct is mental speculation. So how you’ll apply it. You can’t apply it. We have a body, we have a mind, we have to use that to apply it. So there’re some rules for applying it through the body and mind. All you can do is speculating. It’ll never get off down the mental platform. It’ll never come down to actually engaging yourself. And if you just have the body of knowledge. You have the religion and the philosophy. There’s no direction to where this is supposed to go. Then you can go any direction. So you end up nowhere. So you must have the philosophy, you must have the code of conduct that you’ll apply it with. The Bhagavatam perfectly gives that relationship. So that’s why it’s given in that form and then we see of that so, that’s for any vaishnav. Then we see where to refine it even more, give it more direction, then we have the same system happening in Caitanya-Caritamrita. So that’s why it’s considered the next. That’s the best of all those books. Because you have Chaitanya Bhagavata, you have Chaitanya Mangal. You have all these different books on Lord Chaitanya but they are given just more narration in the stories and they are nice stories. But it’s not specifically bringing to the front the philosophy of Krishna consciousness. He’s just telling the Lord’s story. And he doesn’t give it from the angle of the preacher because Lord Chaitanya came to preach. So Caitanya-Caritamrita therefore takes on the flavor of being the topmost literature because it shows how the Gaudiya vaishnav takes that philosophy, preaches and lives the culture according to Bhagavatam. In other words Caitanya-Caritamrita is how we today live the culture of the Bhagavatam. Specifically just our life is eating, sitting this and that. Bhagavatam doesn’t always get into some of those. They get into other details. Those are already explained by others – how we come together, sit, eat. You see specifically how Lord Chaitanya would sit. How they would serve. How they would eat. What would be their mood. You see those things. Respect is seen on different platforms. It means everybody looks at all these but one or something is more important for the other but the basic areas are age, fame, wealth, influence, power (position), knowledge and these are all for the four varnas. Shudras is age and fame, vaishas is wealth, kshatrias- influence and power and Brahmans – is knowledge. And amongst devotees it’s a matter of realization. And then you have finer detail of who is senior by initiation. So one has to consider all these things. So even kings get together. Okay if you have a vaisha or a king then the king is more respected than the vaisha. But then that would be up to kings. Who’s more influential? If he’s more influential, he’s richer, he more like that. He’s older by age. So both things have to be there. You may have a younger king who’s much more influential and you have an older king but the younger one will respect the older because he’s older. But the older one respects the young one because he’s more influential. So the whole idea is that you’re dealing with a two way things. So both these things should be there. Just like Maharaja mentioned yesterday. Shudras, they have mahajans. Just like if I want cross the river. I get on the boat that it’s run by the boatman. Now I may be the big brahman and all that. But now he says -please sit on the other side of the boat. I can’t say: “What do you mean?” You can’t tell me what to do. “I guide – everybody know of that”. When you’re in his field, you’ listen to him. It’s the way it goes. It’s common sense. The Vedic culture is very practical, common sense, the philosophy is very practical. But unfortunately we don’t always have common sense. Common sense is part of intelligence. It means you can discriminate. So it becomes too difficult -deal with all these things. It’s much easier to be rough or nasty and just say chant Hare Krishna and say we don’t care. It’s whatever we value. So it’s “a half duck” principle. We just like the half which we like. We’re interested in power. So whoever is powerful we respect them. And if someone’s not powerful we don’t care even if they’re more knowledgeable or very wealthy. So the whole thing the Vedic culture has all of it. It’s mentioned that if you’re going down the road – it says that even the man of knowledge or power will move off the road for various persons. Like if there’s a small road a path, it’s only big enough for one person so you have a big brahman going on one way. If someone coming the other way, he’s carrying something like bricks or something on the head the man of knowledge will step off the road. Because he can say -I’m seeing this and that, of what the benefit the other person is getting? Because he is having something. He is preoccupied of carrying his burden; he won’t be able to properly offer his respects and dealings. So he may do that. He may see all this brahman will move off the path but then it hurts. It disturbs his work. He’s following his prescribed duties as was given by God. It’s God’s work. So therefore it’s a disturbance to his work for the brahman to do that. And so they’ll move to let the other person pass. Plus the other person has more respect. He’ll actually get more respect by the brahman stepping off the road then if the brahman stays on the road. He has to move off. Because he’s attached to the body and you have twelve bricks on your head and you have to move off. 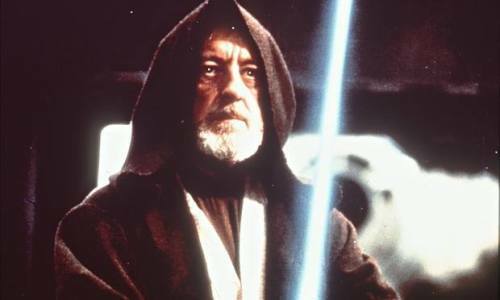 It’s a great disturbance; you may drop the brick, so many different things. So the whole Vedic culture is balanced. In any case you have to give up, to sacrifice. From one side one may be the prominent but on the other side, the other one is a prominent. Because when the brahman goes to the boatman, the boatman says how things work and when the boatman goes to the brahman says how things work. These protection and shelter can go on simultaneously. You can be respecting someone else’s, at the same time giving shelter. It’s like when their parents with their children. They’re still the parents of their children and the children of their parents. So simultaneously both are going on. They may be talking to their parents. At the same time the child’s coming up sitting on their lap. At the same time the kid gets off to the lap goes over to the grandparents. They’re like that. One has to be the whole Vedic cultures how to maintain many rasas all at once, many considerations. And that makes very complete people, very different kind of people. So the Western mentality is you only have one Rasa and that’s myself. Like we were joking out the road this morning to have these for developing self confidence, you get up in the morning and you look yourself into the mirror and say: “I like you”. Even if you get wrinkles, “I like you”. “You’re okay guy!” You kind of like telling to yourself that you’re okay. It’s very strange. So what happens when everyone becomes very independent, doing their own thing. That means if I’m independent, I never sacrifice. So I only taste one Rasa. I don’t taste anything more. Whatever I want that’s all that ever happens. So I don’t actually taste many relationships with anybody because I’m only doing my thing. If I live in a big joint family or in a community I am restricted. I feel restricted but I have so many relationships because of that. So the point comes down to that we take the restriction and enjoy the relationships or throw away the restriction and enjoy your senses. That’s basically what we’re left with. It is not something else. Of course you could leave both and go off to the forest and be a paramahamsa but if we can do that we wouldn’t probably sit here and of course we’ve come down to that platform to preach. But the point is that’s our choice. Except the restrictions of living in a bigger family situations and communities and temples or whatever it is and being restricted by that. Others are going to complain if we’re not attending the program or not doing different things. But that establishes relationships. We have to take it the whole way or we can just go, we don’t like us people telling what to do. Go out on our own and enjoy our senses. But still our senses will tell us what to do because if the senses want to eat so therefore you have to go to work. Basically when you accept the rules, then you have a society. If you don’t accept they don’t. Basically the first thing one has to accept – is this principle of service, surrender and respect for authority. That’s like the bottom line. The simplest form of sambandha is there’s God, there’s us and we’re His servants. So that means our mood is service and surrender and respect for authority. And we show that through using material nature and the service. Until that is established all the way down, you can’t establish anything else because until that’s there you cannot establish the culture, the activities. Because once I accept, God is there, I’m a servant then that means I’m going to do something to show that service. That manifests the culture. So unless that’s there it won’t work. So the principle underlying respective authority that has to be established. Once that’s established then you can start establishing what is proper. Because if someone knows what is proper they won’t be disrespected anyway. So who is going to listen? And then someone has the ability to establish it. They have the organizational abilities and those abilities, know to accept that. So just it won’t function until you establish this authority. So that respect is there even just a side that you just remember. There’re a few conversations where Prabhupada’s talking about the dealings with the parents, even though they’re not devotees. So there he sees, the respect is there for the parents but it doesn’t mean that their instructions are not good we follow. But our respectful mood, proper dealings is there, he even expected devotees with offer their obeisances to their parents. There are a few situations where you just offer them obeisances. When they’re sitting, instructing you and telling you this nonsense stuff, you just sit nicely and listen. Just like Prahlad, his father is telling him all kinds of stuff, he teaches him more, he’s listening. He’s sitting there. He doesn’t agree to it. He doesn’t follow it but he behaves nicely. So that way they can’t say they’re not behaving properly. Because how many parents the kids actually do what you’d want them to do. But if at least he behaves nicely, they’ll be happy. Mothers happy, you’re dealing with them nicely. It doesn’t matter what position. People come to you and say, “Your son’s a rascal and nonsense this and that”. As long as he deals with her nicely she’ll say “No, no, this and that. It’s my son”. It doesn’t matter because the relationship is there. If there’s no authority, there’s no shelter. If there’s no shelter, then automatically Brahmans get upset, women get upset, cows get upset, kids get upset and all people get upset. We don’t have many old people to the one’s starting that. Kids have already got upset. Women are upset now. Cows were upset before the old times. I don’t know if there’s any left to be upset. And Brahmans – they’re too tolerant, they’re not yielding, screaming, then nobody probably won’t even notice it. But the whole point is until there’s authority you don’t have this thing. Then you can do the finer points. Because everyone has to reciprocate properly. It means there’s a very interesting point – is that, “men respect the women as mothers”. Now that means in just proper dealings but it’s very important to note that mother doesn’t mean to controlling authority in your occupational duty. This is a very important point. Because we’re seeing such things in a very closed way. Then it makes the problem. You have the prime minister. He has his mother. But when he is with his mother, his mother is telling him: “You’re not keeping your health good. You’re staying up late at night. And you’re not eating properly and too many meetings” and all these different things. That’s the relationship. He doesn’t mind. He’s respecting his mother. But when she comes to how he runs the country, then it’s none of her business. Of course she can have her own opinion as everybody can have their opinion. So it’s two separate things. So everybody can respect the temple president and all the Brahmans. Everybody can respect the woman as mother but that doesn’t mean now that they’re telling him how to run the temple and this and that. So you see both sides have to know where the woman is. So it’s an emotional exchange. It means a relationship. But there’s occupational duty which is another thing. All the rules for dealing with women and all that are within the rule of ashram. They’re not in varna. Occupational duties is another thing. So when that’s there then you can balance it. But it’s either “okay we respect the women but then they tell everything what to do”. So therefore we don’t bother with them. We don’t listen to them. We do nothing. So you have to make that balance. That is respect, care, proper dealings. It’s just like you have a man and a woman and they come to one door all at once. Unless there’s someone like a spiritual leader something like that, they may go first but otherwise a grihastha or brahmachary then a woman would go first. So you have to see the situation. They’re very fine things. So it has to be seen what is going to be in a proper situation. But generally when you see, especially when you’re inside. So it’s also inside as one when you’re outside is another. Outside is when the man will lead. But still when you come into getting something this that or moving through something then a woman would go first and that’s specifically is the grihastha’s position. They have to protect the community of women. That’s specifically is there. So if the women are experiencing difficulties that’s more because the grihasthas are taking care. Like you have a single mother. She can take care of herself very well, just left on her own. But in India, in those big communities everyone will give something and then she can take care. If she has no kids, that’s another thing. She can do service. If she has kids she can’t work and take care of the kids. Everyone knows that doesn’t function. You end up with a weird kid. Everyone gives a little something. And then she can raise her kid. At the same time as Maharaja mentioned then there’s the essential element of intelligence of gratefulness. This is also a major lacking in the mlechha-javana culture. No one’s grateful for anything because of the lack of intelligence. So this creates a big problem because if someone does that for you then they don’t care. You’re supposed to, of course. But there’s a relationship, they did it. So that means that person is always humble and caring and later on then they’ll do other things. They take care. 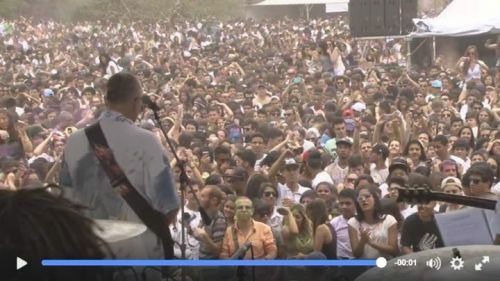 Titiksava Karunika Das and his team perform Mantra rock in Brazil and introduce thousands to the sound of the Holy Name.